On our annual visit to the immigration office, my husband likes to find an all you can eat place to try, while we're out of town. 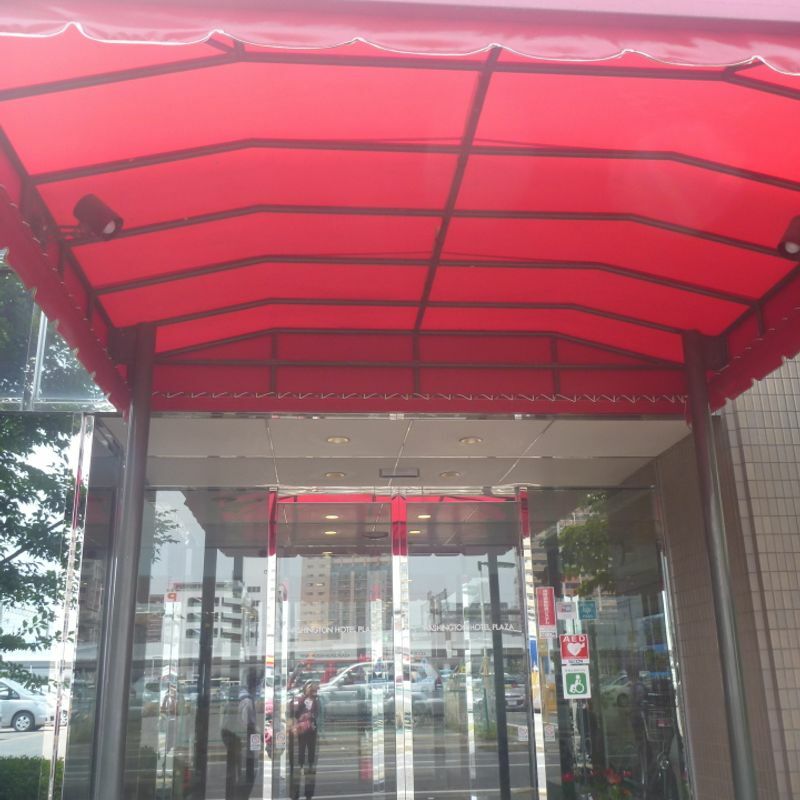 This time he chose a hotel buffet which is a quick walk from Saga Station. We finished quickly and showed up just before 11:00, when the website showed that they open. The website was wrong and they open at 11:30, but the price for lunch was also less than the website showed (1400 yen per adult including tax). After going for a walk to work up an appetite, we went back and they had started the lunch time. There were already a few people there, but it wasn't crowded. We started filling our trays with the mostly Japanese style dishes. 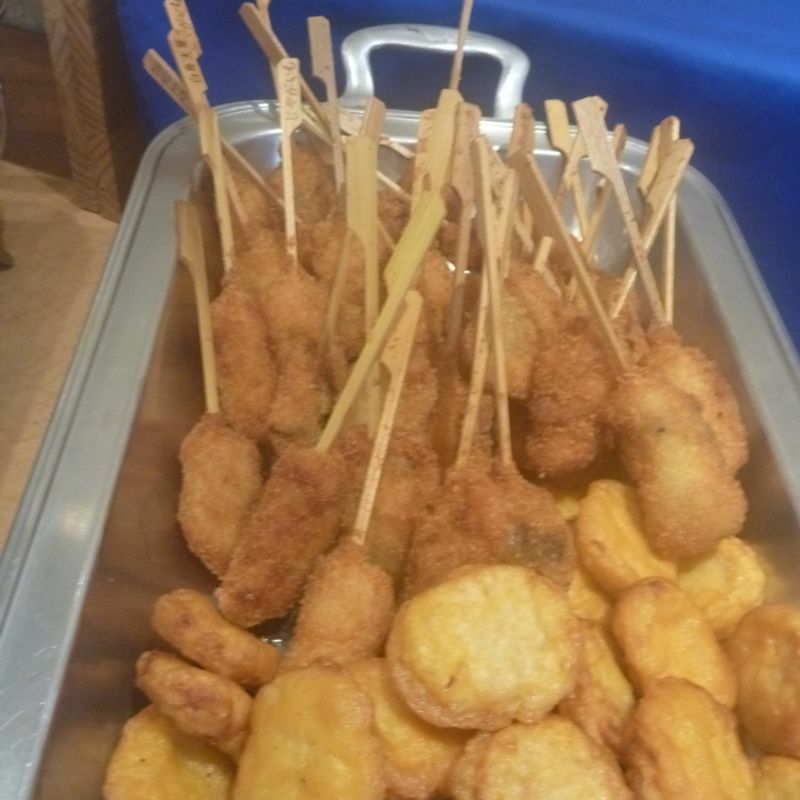 Salad, kushi-katsu, pumpkin soup, salmon, shrimp gyoza, rice, and 'chile con carne' were some of our favorite items. Everything was labeled in Japanese only if I remember correctly. 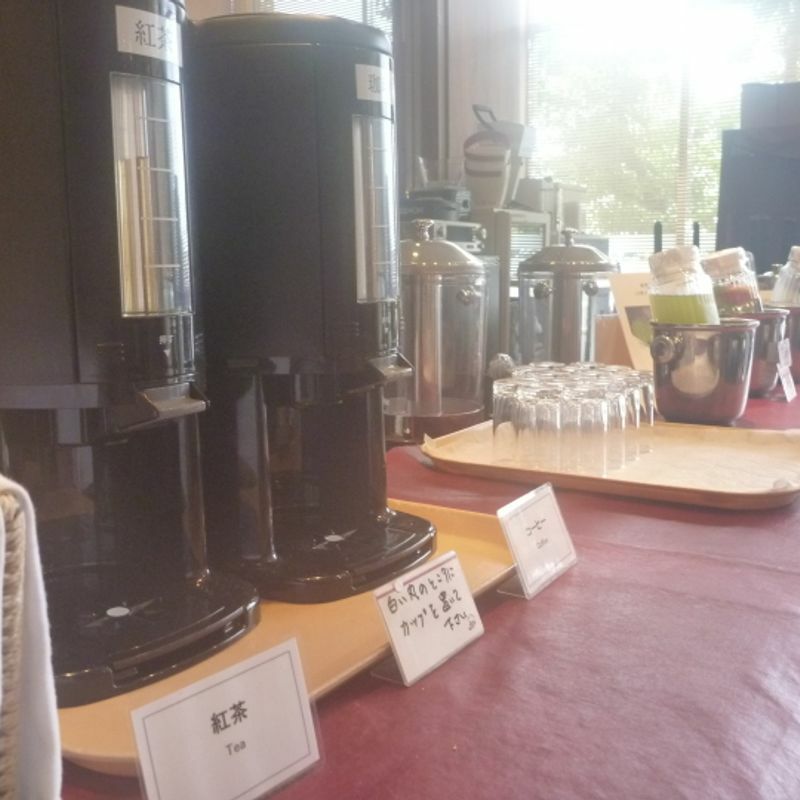 Drink bar is included, with soft drinks, detox water, coffee and tea. There is a chocolate fountain with dry mini donuts and bread cubes, plus two small dessert items that didn't interest us much. We went for seconds even though we were getting full too quickly. When it came time for dessert, we were both really full, but wanted to eat so much ice cream, like little kids. 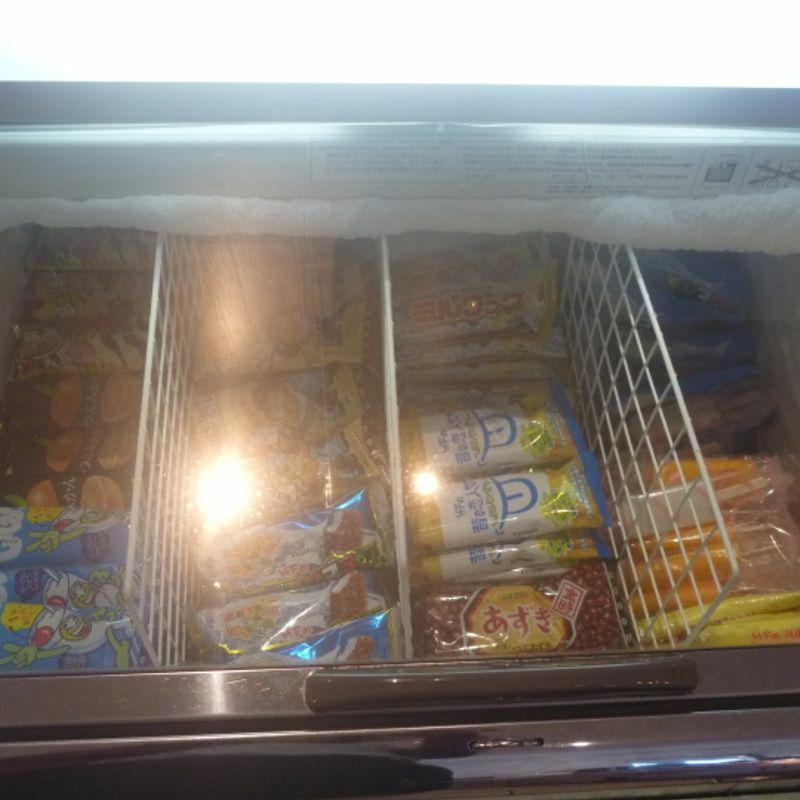 We could only manage two ice cream bars each. (Red bean, mikan, Mont Blanc, lots of choices.) 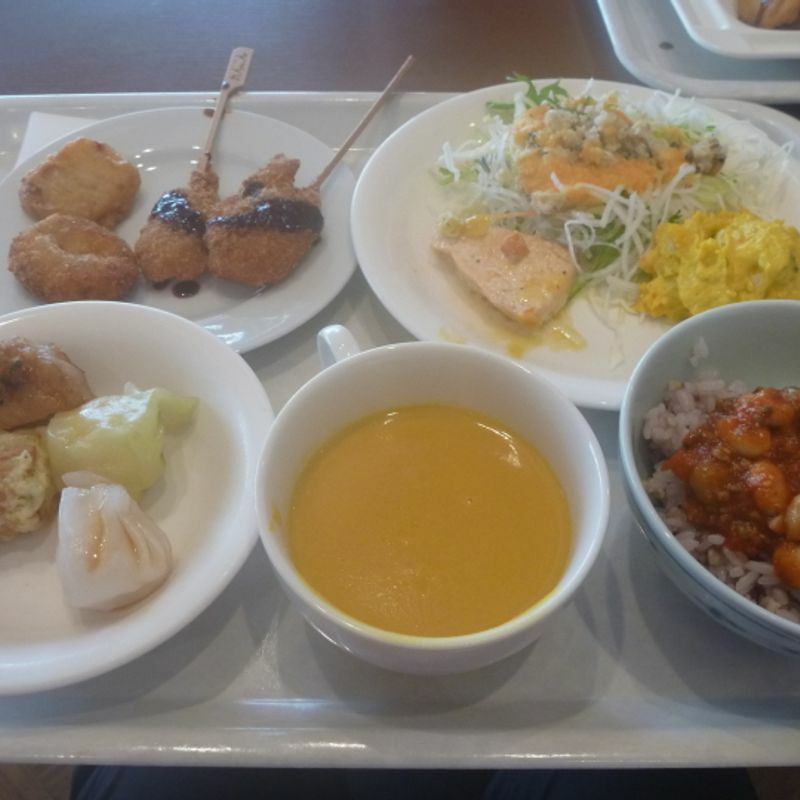 We've found hotel buffet restaurants have the best value, but unfortunately, we can't eat as much as we used to be able to.